TETRAMAX organized a workshop on 'Smart funding for digitization of Europe’s Industry' at the DATE 2019 conference. A few of TETRAMAX' technology transfer experiments such as EverMore, Carrots and TetraWin presented the results of their technology experiment to a full exhibition room. To boost European digitalization in Cyber Physical Systems via the Digital Innovation Hubs, the European Commission started its Smart Anything Everywhere (SAE) Initiative to foster technology transfer from research to business. The Horizon 2020 Innovation Action TETRAMAX is one of them, offering smart and individual funding schemes for European university-industry cooperation. 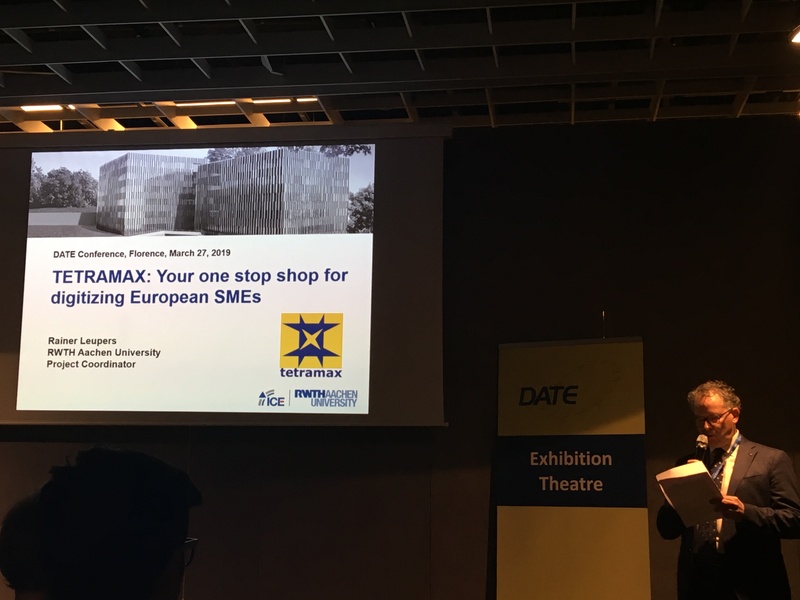 The TETRAMAX workshop organised by Luca Fanucci and Bernd Janson on March 27 at DATE 2019 conference in Florence, really showed the impact of the international cooperations between researchers and SMEs supported by TETRAMAX. It inspired the audience to engage in international technology transfer. Rainer Leupers, coordinator of TETRAMAX presented the TETRAMAX project and the technology transfer concept which focuses on direct cooperation – Technology Transfer Experiments (TTX) - between universities and SMEs supported by open innovation networks and other stakeholders like investors. In addition he introduced the brokerage portal: tetramax.eu/brokerage, which offers researchers and SMEs a very convenient tool to find support and in the end the right match in technology transfer projects. During the next session, representatives shared their experiences and insights as researcher, founder, entrepreneur, investor or consultant. 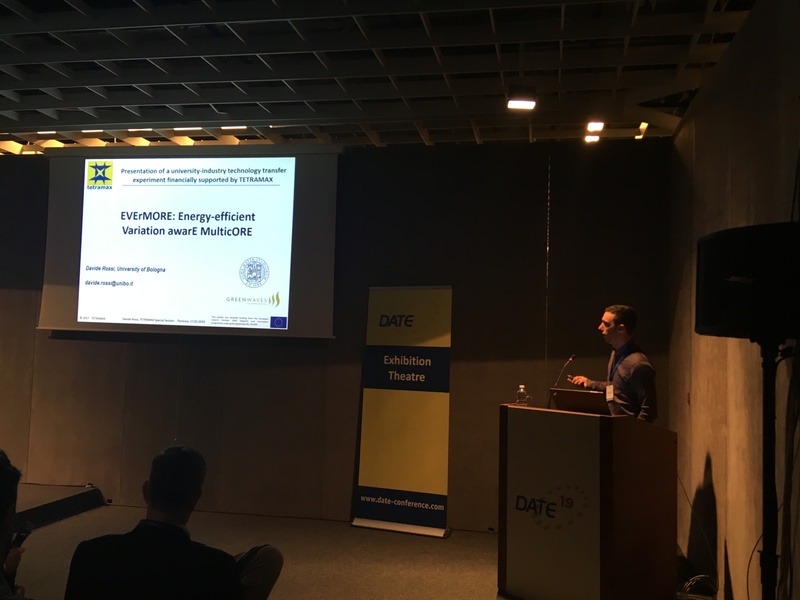 Davide Rossi, Università di Bologna, IT presented EVErMORE ( Energy-efficient Variation awarE MulticORE). The EVErMORE TTX experiment aims at developing the next generation [GAP-8 IoT processor from GreenWaves Technologies]. Exploiting the adaptive management architecture for process and temperature compensation developed at University of Bologna, coupled to the low-voltage capabilities of 22nm FD-SOI technology, is expected to improve the energy efficiency of current generation GreenWaves Technology processors by 6x, enabling new applications and opening new market opportunities.EverMore aims at developing the next-generation IoT processor from GreenWaves Technologies. Using this technology, the energy efficiency of current generation GreenWaves Technology processors will improve sixfold, enabling new applications and opening new market opportunities. 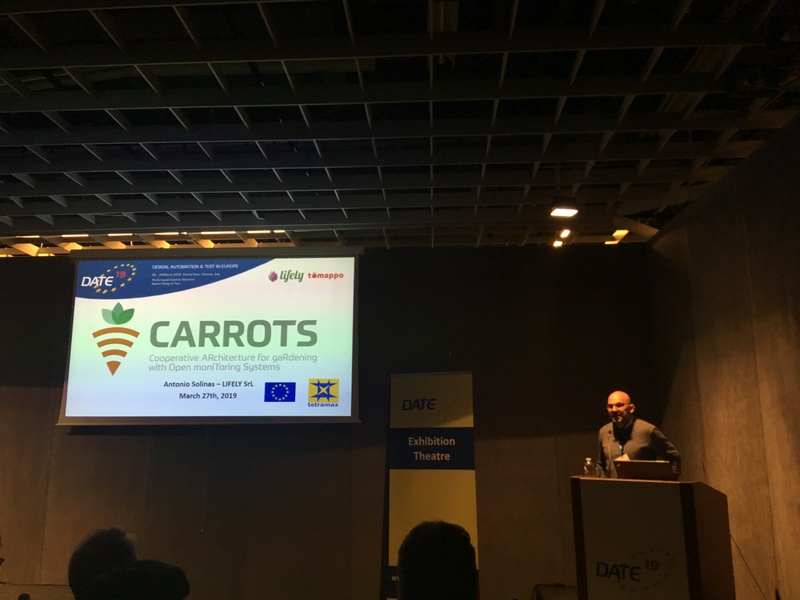 Antonio Solinas of Lifely, Italy talked about the Carrots experiment. Carrots, Cooperative ARchitecture for gaRdening with Open moniToring Systems, will make growing vegetables much easier. . Within Carrots, Lifely's social sensors are customized for use with Tomappo, a digital gardening assistant. This will add new dimension to Tomappo leading to a better product for users and new revenue stream for company receiving technology, while also benefit the owner of the technology by providing a new use-case for their sensors. Luka Zubcić from Spica introduced TETRaWIN: a computational-Rfid wirelessly-powered IOT Nodes. This technology transfer experiment will use the University of Salento recognized skills on wirelessly-powered Computational-RFID technology for IoT to develop wit the SME Spica, a new cost-effective battery-less CLEC-based tag. This tag enables the smart traceability of fresh and frozen fish. By performing computation, communication, and sensing to check the food product integrity, the solution will improve the SME business. 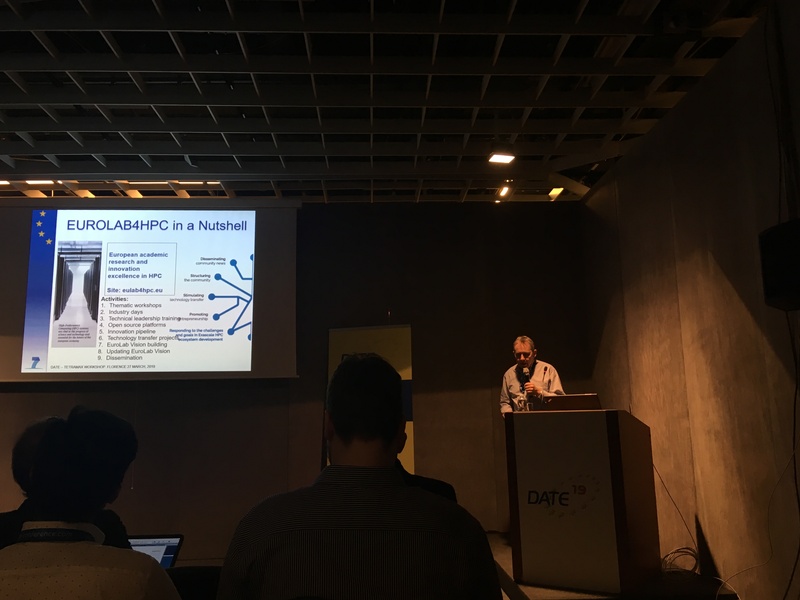 Per Stenström, Chalmers, Sweden is the coordinator of EuroLab4HPC. 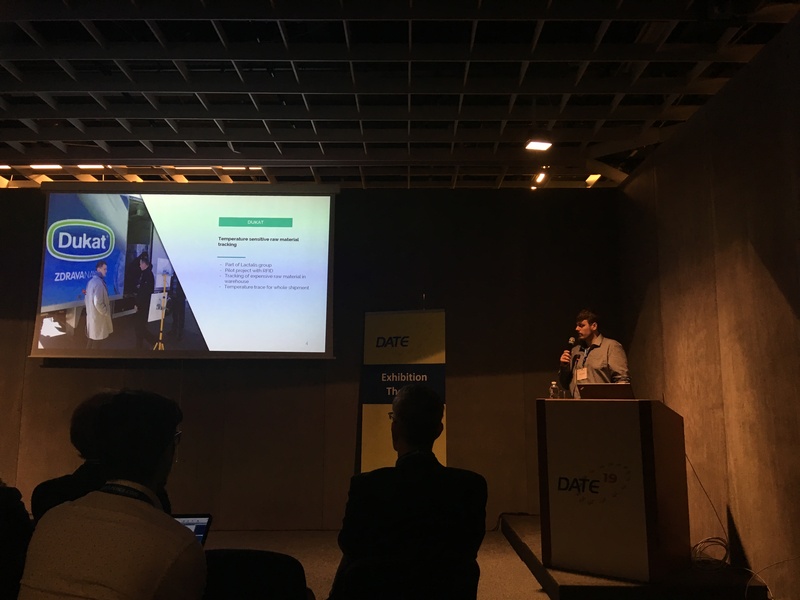 He talked about how this project, with its innovation pipeline supports all the stages from bringing a research idea all the way to the market. Bernd Janson, ZENIT GmbH, presented the Enterprise Europe Network, which is the largest innovation network in the world. It addresses every need in the whole value chain of the innovation process - from idea to product. 600 partners and over 6000 consultants worldwide work together to improve the performance of SMEs in Europe. The network also supports the TETRAMAX project in disseminating the information about the TETRAMAX services. As a conclusion, we can state, without a doubt, that international cooperation is indispensable for European innovation in computing.